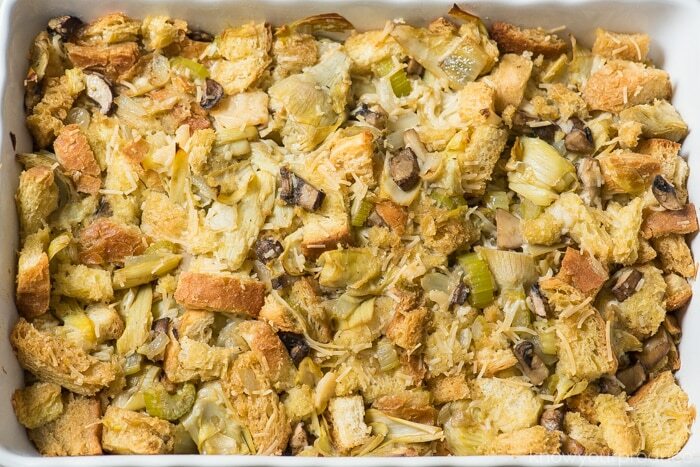 This vegan stuffing is a family favorite recipe we have always loved, you won’t miss the chicken broth or the parm with our favorite recommendations for comparable swaps. The first swap is vegan parmesan cheese. Follow Your Heart parmesan cheese is by far our favorite vegan parm. It melts, it tastes the same if not better. The second swap is Imagine Organic Vegetarian No-Chicken Broth. 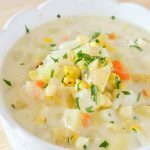 It is so close to chicken broth flavor that your friends and family won’t even know that you use vegetable stock. The third swap is butter for vegan butter. The top two of the vegan butter brands we have tested are Soy Free Earth Balance Spread and Miyoko’s Kitchen. 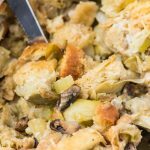 The one thing we haven’t changed is using fresh bread and poultry seasoning. Don’t worry, there’s no poultry in the seasoning mix. Poultry seasoning is a blend of sage, thyme, marjoram, rosemary, black pepper, and nutmeg. 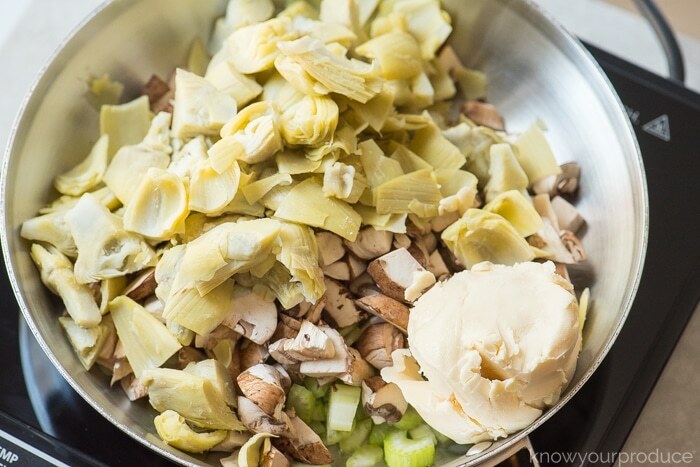 We also keep the classic veggies like onion and celery but also add in mushrooms and artichokes. 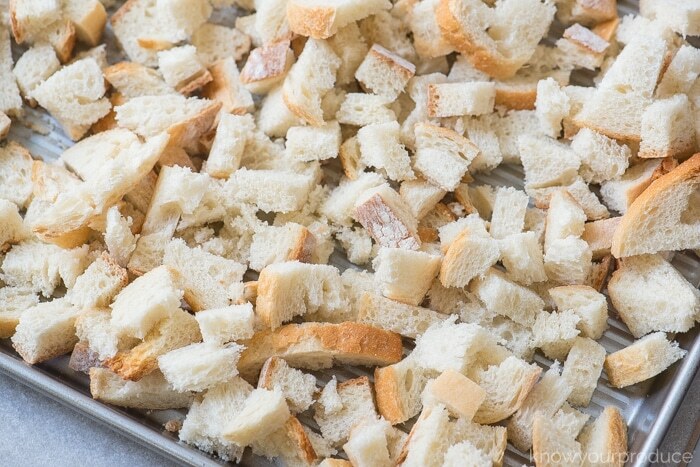 Slice day old bread into bite-size cubes and place onto a baking sheet. Bake the bread for about 15-20 minutes, until it’s crunchy and can be crumbled between your fingers. While the bread is roasting in the oven start prepping the other ingredients. 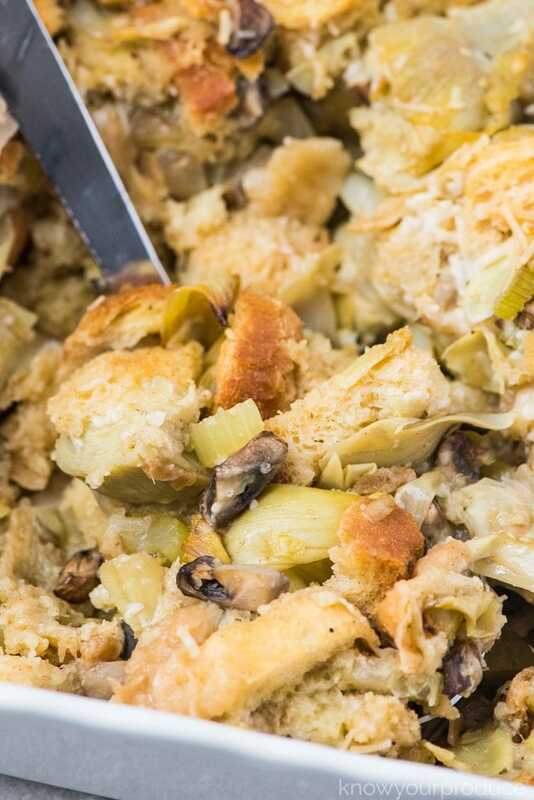 In a large skillet combine the butter, celery, onion, mushrooms, artichokes, and seasonings. Stir occasionally and cook until the vegetables are tender. Once the bread is done pour it into a large bowl. Pour the vegetable mixture and broth over the bread. Add in the vegan parmesan cheese and mix well. 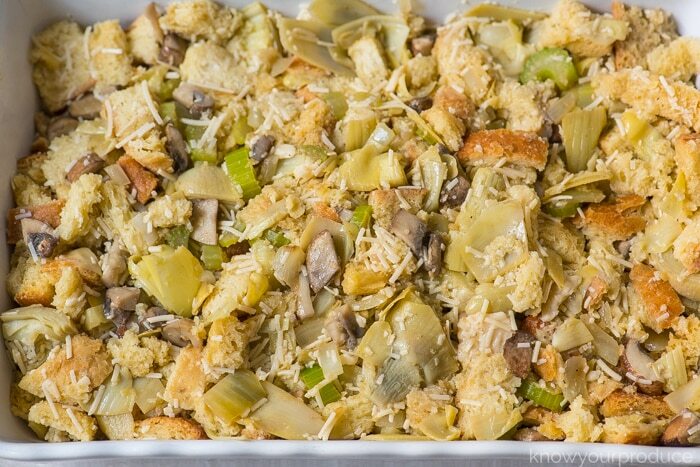 Dump the stuffing mix into a large baking dish. Bake in the oven for 30 minutes covered and 10 minutes uncovered. Make our Roasted Purple Sweet Potatoes for the show stopping side dish in just 30 minutes! Purple Sweet potatoes are rich in antioxidants, make this easy recipe to try out this healthy root vegetable. 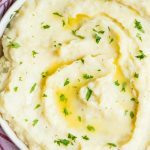 These Vegan Mashed Potatoes with Fried Onions are the perfect side dish that everyone can enjoy. We make our dairy free mashed potatoes with coconut oil and lightly fried onions. It’s an excellent recipe if you want to know how to make mashed potatoes without milk. Add in your favorite veggies, love Brussels sprouts or asparagus? go ahead and add it in. Same goes for not liking an ingredient, for example not a fan of mushrooms? You can leave them out and swap for your favorite mild flavored vegetable. Not a fan of parmesan cheese? Leave it out. 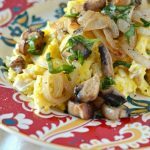 This recipe is just as delicious without it as it is with it. 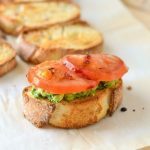 If you don’t want the hassle of chopping and baking the bread you can find already bread cubed at more supermarkets, be sure to get one without seasonings and flavorings. 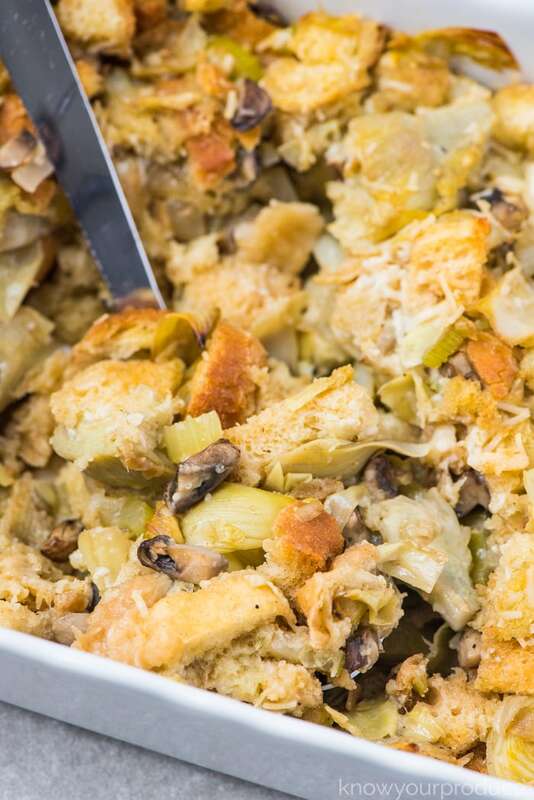 We hope you enjoy our vegan stuffing recipe and add it to your Thanksgiving dinner menu! 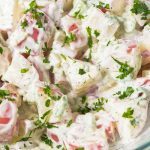 If you make this recipe please let us know how you like it by leaving a comment and rating. 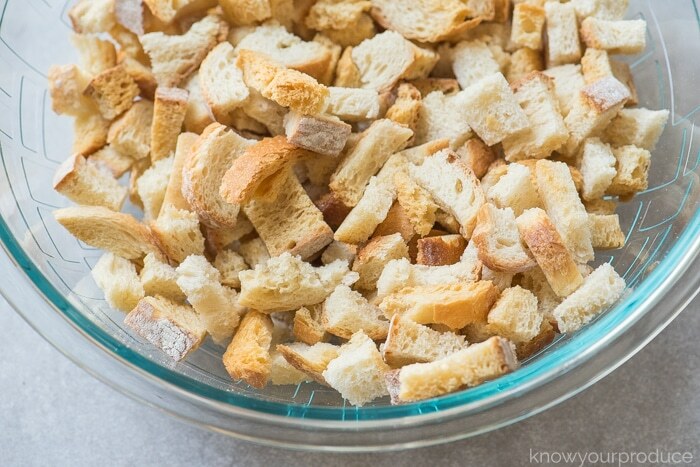 Slice the bread into bite-size cubes and place onto a baking sheet. Bake the bread for about 15-20 minutes, until it's crunchy and can just about be crumbled between your fingers. Add in your favorite veggies, love Brussels sprouts or asparagus? go ahead and add it in. Same goes for not liking an ingredient, for example not a fan of mushrooms? You can leave them out and swap for your favorite mild flavored vegetable. 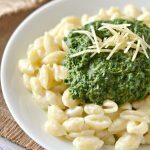 Not a fan of parmesan cheese? Leave it out. 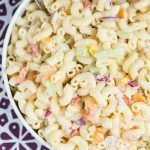 This recipe is just as delicious without it as it is with it. 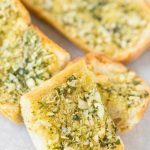 If you don't want the hassle of chopping and baking the bread you can find already bread cubed at more supermarkets, be sure to get one without seasonings and flavorings.